The BMW Group has released first details of its next electric powertrains – the fifth-generation family is set to be incorporated into production vehicles starting from 2021. Munich promises optimised interaction between the motor, transmission, power electronics and battery, along with greater range, reduced costs, significantly lower weight and improved flexibility. Key to this is the integration of the first three items into a single electric drive unit, taking up considerably less space than the separate components used in previous generations. 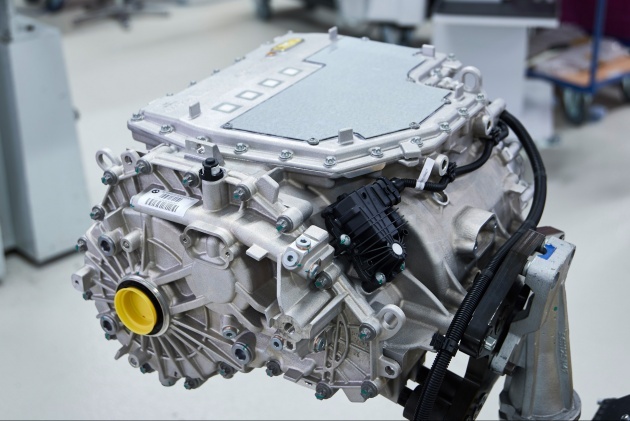 It also uses fewer parts to save costs, and its modular design makes it scalable for use in different vehicle packages and at varying performance levels. 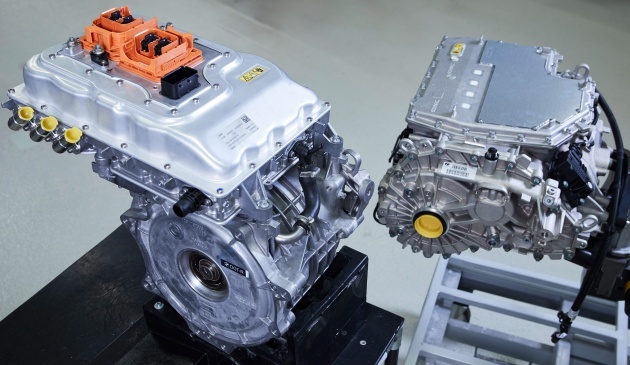 What’s more, the new motor dispenses with rare earths, ending the group’s dependence on them. The batteries have also been made more powerful – again scalable and modular, they provide an all-electric range of up to 700 km on an electric vehicle, and up to 100 km on a plug-in hybrid. The electric motor and battery are developed and produced in-house, which the company says enables it to secure know-how in new technologies, gain systems expertise and leverage cost benefits. In addition, the flexibility of the drivetrain ensures the BMW Group’s freedom of action in the future, making it possible to fit any powertrain to any model according to demand. The new systems can be fitted to front- and rear-wheel drive platforms, and is capable of all drive forms. With that, the company says it will be able to meet the predicted demand for several hundred thousand electrified vehicles by 2025. This comes as the BMW Group is projected to sell 100,000 electric vehicles worldwide by the year, having already delivered 78,096 BMW i, BMW iPerformance and electrified MINI vehicles between January and October this year – an increase of 63.7% over last year. In 2019, MINI will build its first series production electric vehicle based on the standard Hatch , while BMW will follow suit in 2020 with an all-electric X3. 700km range! Now this is a respectable distance for EV tech viability. Tesla only started this decade, you numbskull! He’s saying that from 2021 point lah… Read the title of this article. Tesla’s highest range so far is 482 kilometres. Btw, Tesla introduced it first car in 2008. Tesla 0-100 in 2.28 secs. Hail King Elon!! Can someone tell the people in KLIA2 car park that e-plug in cars and electric cars also should be given priority parking and not just hybrids? I recently saw an e-plug in BMW wheels locked by the authorities because he parked at the Hybrid parking. Dont they know e-plug in cars are more environmentally friendly than the “so called hybrids”? Whilst the whole world have already moved to EV and PHEV as well as Hybrid technology, and now, they are improving on distance, our 2 national car companies still don’t have 10 year old Hybrid technology also. I think Proton and Perodua will only launch EV in 2050. By that time, other car companies will have range of 2000KM already. The trouble in moving our 2 national cars to EV or PHEV is that their market reach is still too small. They can’t sell locally because we have very little infrastructure. There’s almost none to speak of. They also have not yet made any impact or significant presence in markets with more established infrastructure. It doesn’t make sense to spend hundreds of millions a year on developing EVs and have no one to buy them. Then there is the competition. Toyota sells over 300,000 hybrids in the US alone, annually. Proton barely produce that number for all models in a year. Neither Proton nor Perodua have the manufacturing power to keep costs down. Who wants an overpriced hybrid Proton or Perodua? Their best bet now is to make ever cleaner, economical, and reasonably affordable fossil fuel cars, and start generating some real money, and making a good impression for the global market. People still do need sensibly cheap cars, even in Europe. No EV hatchback will ever cost under £8000 and still has all the bells and whistles of an equivalent petrol. Not in 20 or so years anyway. Though Proton have done some R&D efforts in electric technology, even before Geely. Perodua I think have had a go as well for a little bit. Big automakers aren’t the only ones developing battery and motor tech. There are other corporations that have made leaps and bounds in motor and battery tech, and Proton and Perodua can always go to them, cutting down on R&D costs. In other words, they don’t have to be in that much of a rush to transition. EVs won’t be the default option any time soon. Developing nations will still rely on good old fashioned fuel burners for decades. Thats the standard range for all German EVs. Even Audi, VW and Merc announced 700 km’s range. Uh oh the big boys are getting serious at last. Thanks Elon!